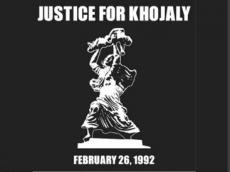 The Germany-Azerbaijan Culture Society will stage a protest in Magdeburg to commemorate victims of Khojaly genocide which saw the massacre by Armenians of hundreds of innocent Azerbaijanis in 1992. The half an hour-protest will involve cars passing through the city`s central streets every five minutes. The protest is aimed at increasing the German society`s awareness of the Khojaly genocide and Armenians` aggression against Azerbaijanis.